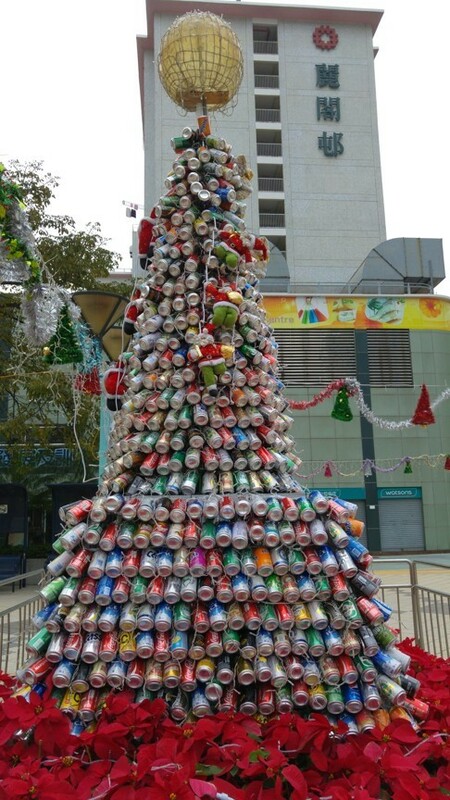 Housing estates around Hong Kong have found something festive to do with their recyclables by erecting Christmas trees out of old containers. 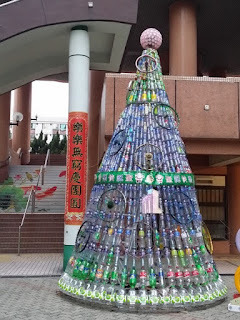 The humble water bottle has joined the old newspaper and a couple of dining chairs to form far more than the sum of their parts, whether it be Rudolph or Donner or Prancer, they’re reindeer all the same. 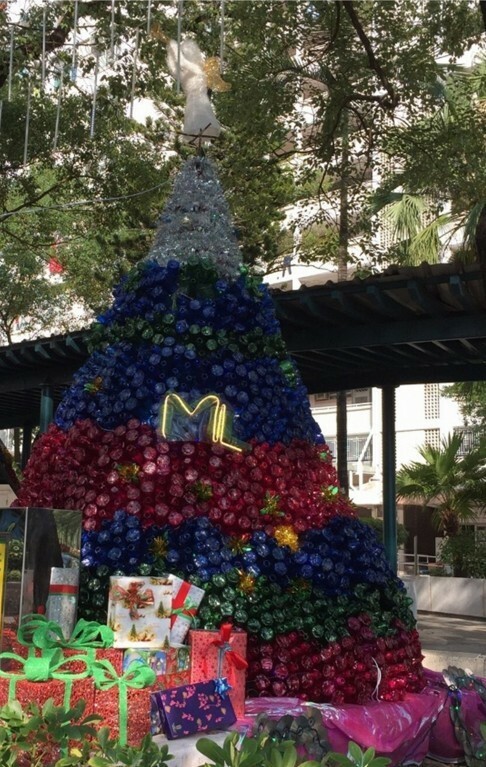 Thousands of bottles went into the grand creations, even CDs and bike wheels. The housing department has pulled together photos of the yuletide scenes and released them publicly. 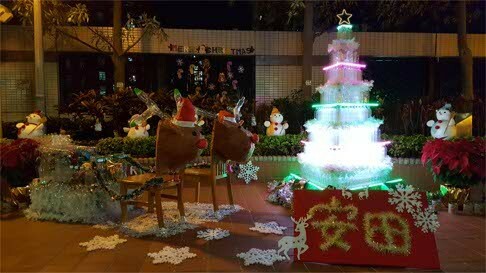 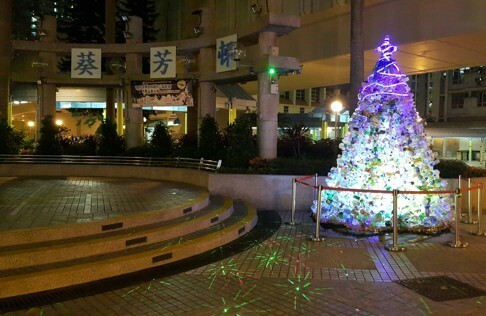 If you have seen beautiful community-led Christmas displays send us a picture at onlinephotos@scmp.com. Merry Christmas. 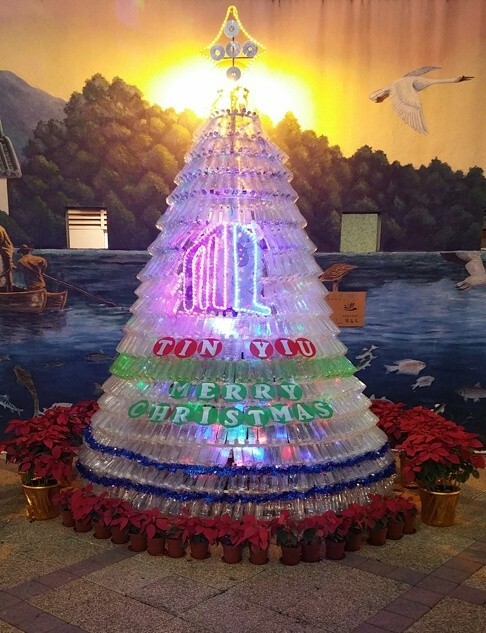 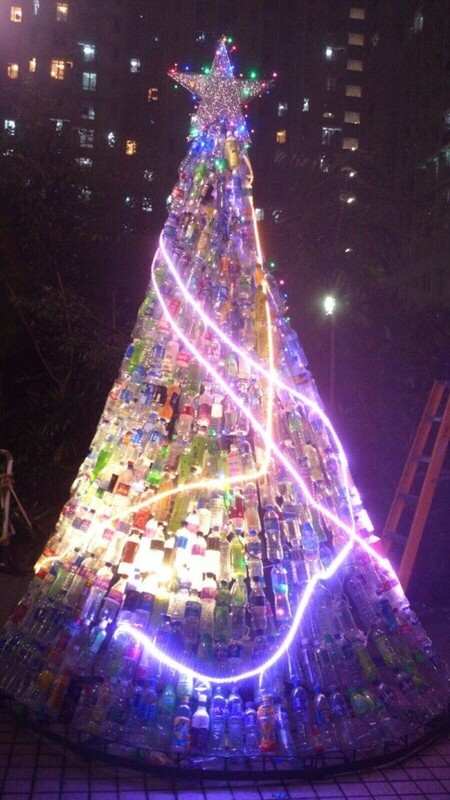 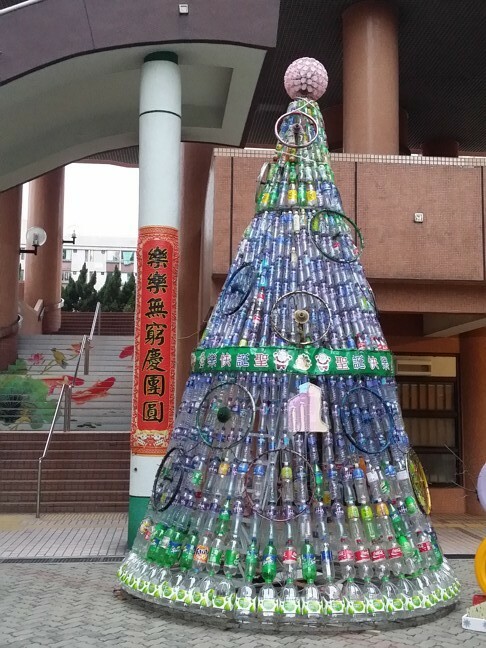 The 7m Christmas tree at Shui Pin Wai Estate comprises recycled materials including 700 plastic bottles of different sizes, recycled paper, compact discs and bicycle wheels.